2.1 This Standard covers ambient odor control products, and biologically-based odor control products. The revisions dated November 1, 2013, were issued to revise 7A.1 to add an option to evaluate efficacy by either of two methods to conduct an odor panel evaluation. A revision of a single or multiple requirement(s). A complete new edition of an existing Standard or Outline. A new Standard or Outline that has not previously been published. 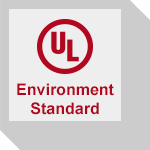 CSDS Proposals provide access to view the proposal and submit comments within UL's Collaborative Standards Development System (CSDS) appropriately.